A helpdesk ticketing system or IT ticketing system allows for all support requests to be managed from a central platform. When the customer contacts the help desk their communications will all be tracked within the same support ticket system and the user will receive a unique ticket reference. This reference will be used to manage the helpdesk request throughout it's lifecycle and the ticketing software can then report back on all the recorded data. Whether this request is via email, phone call, social media or web portal, the customer will receive a unique ID number that will be used as reference until the request is resolved. 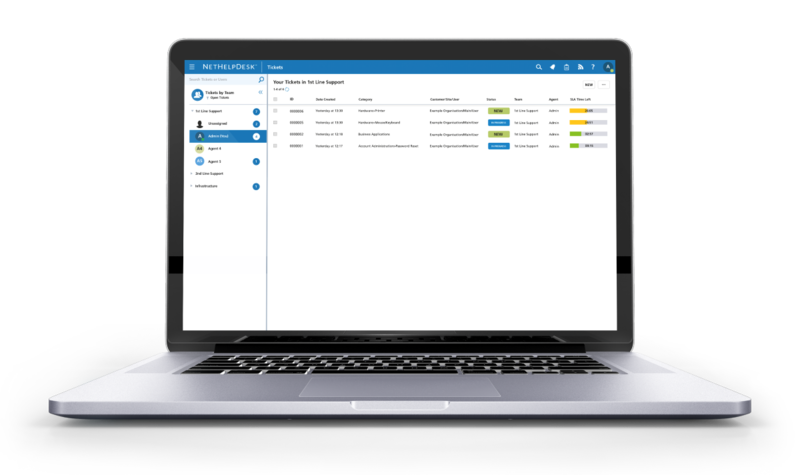 NetHelpDesk manages all these different channels of communication, allowing your agents to manage their workload from a centralised queue. 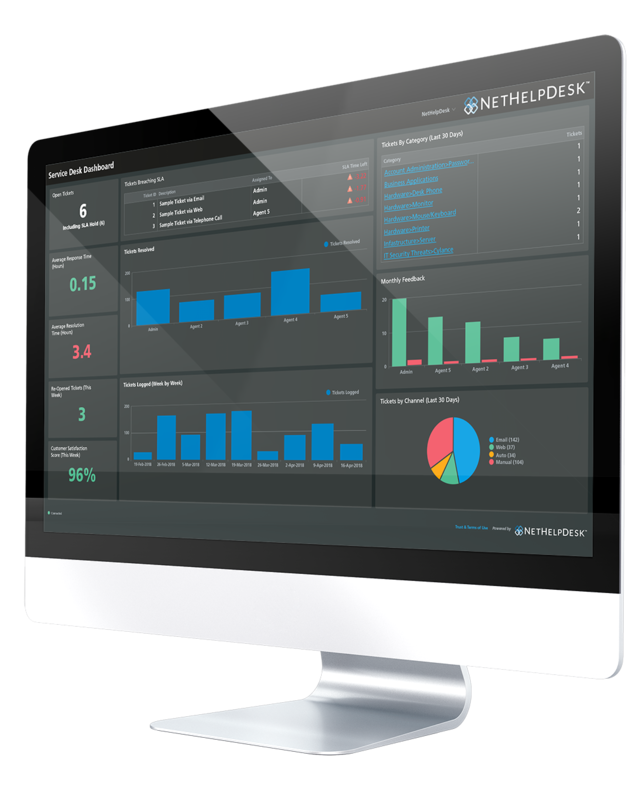 As well as being a vital IT ticketing system, NetHelpDesk can be used as helpdesk system for many different departments; managing a range of requests for information and tasks. The growing variety of channels customers have at their disposal, while frequently handy for the customer, can allow it to be hard to supply consistent service to users. Many businesses simply let their customers create support requests via a web portal, which frequently made customers fill in necessary subjects; for example service plan or their account number. This helped ensure the reacting support representative had all the context that was needed to supply support but wasn't always a wonderful experience for the customer. Some favour the immediacy of brevity or a phone call of a Tweet. Moreover, the formats that are different can’t communicate with each other, so it’s completely possible that two different support representatives will react without either one knowing it. If your customer e-mails a grievance to an organization, then Tweets that same grievance it could create double the support tickets. Also, that information is never captured for additional use, making it impossible for support representatives to reference preceding service problems with that customer. These screenshots are just examples. A lot of customisation exists in NetHelpDesk for you to make screens display the information you want. Customised Request Types for your Agents and End-users to complete. Capture any type of information with Custom Fields and Tables throughout. Change terminology to fit your own e.g. Change 'Agents' to 'Engineers'. Alter the name of action buttons, the data captured, and who can see them. Requests by your choice of filter or queue. You decide which queue you need. View by Customer, Date, Agent, Section, Priority, Status, Request Type. Select the modules each Agent works with. If they don't use it, hide it! Agent Logins retain own settings, e.g. column widths, preview pane height. Create global views or agent-specific views of data straight from requests. Choose what you see, where you see it, including custom fields in requests. Advanced filters to search requests and their content, whether open or closed. Quickly add resolved requests into the Knowledge Base, edit in Rich Text. Hide calls on SLA hold (waiting for end-user), so request is hidden from queue. Create requests against end-user's account, for full traceability. Every action carried out is logged, time and date stamped for quality control. E-mail the end user directly from the request, and record their responses. Capture private notes that the end-user will never get to see. Reassign requests to other team members, or members in other teams. 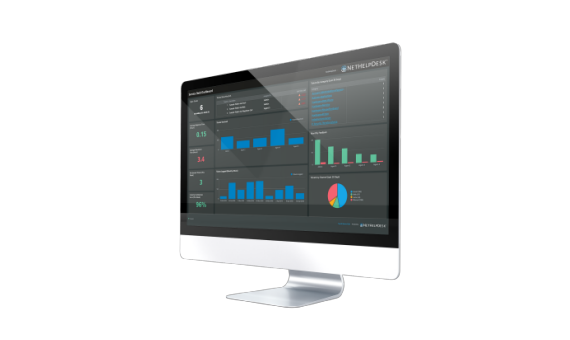 Log calls directly to suppliers, monitor their SLA, and record history. Initiate an SLA Reminder process, that reminds end-users of detail requested. Automatically close calls if no response is heard from the end-user. ""NHD has really revolutionised the way we deal with help desk service enquiries, and it puts us streets ahead of the industry norm in terms of client communications and enquiry recording/auditing. We're working with them now to add in features we would like to see as the product moves forward, and booking in our yearly site visit to help us streamline our practices. From the initial enquiry, to present day, we rate their service 10 out of 10.""